It's finally Spring! It might still be cold and wet, but you know that warmth, sunshine, and flowers are on their way. 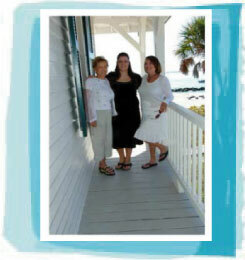 What better way to celebrate spring than by getting together with your girlfriends for a weekend getaway? Or plan a longer, more adventurous trip - to Italy, perhaps? • If you can't wait for the flowers to bloom in your own yard, head for someplace that has a head start - like Charleston, SC. Charleston is lovely any time of the year, but it's especially nice in spring. 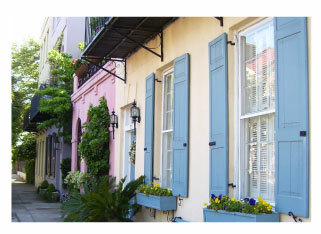 Rainbow Row is like walking through an Easter basket of colors! • In May, take a Women's Getaway to Italy , with stops in Rome, Florence, and Venice. This is an unusual trip, sponsored by the Etiquette Center, illustrating the real Italy and Italian culture. Great shopping, too! • June has several Yoga retreats to choose from. You can study both Art and Yoga in France, enjoy Wine and Yoga in upstate New York, or attend a Women's Yoga Retreat in Washington State. Any of these would make a wonderful getaway for yourself and your friends. If you love spas and yoga, you'll find many more vacation ideas and events at our sister site, Great Spa Vacations Check it out! I hope you like it!